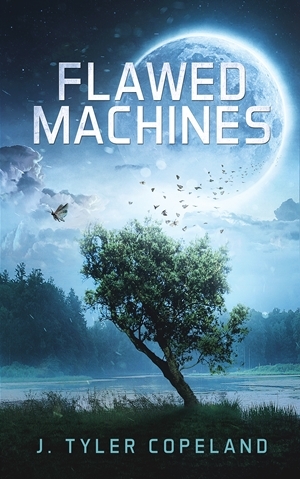 Featured Indie Book on Indie Author News: Science Fiction / Fantasy Novel Flawed Machines by J. Tyler Copeland. Flawed Machines is a fascinating story of purpose-driven people, time travel, and unexpected consequences when the former two collide. An underlying special quality of this book is the timeline of henosis and the inevitable control of the universe by artificial intelligence. The Book has been self-published via Amazon and is available as eBook and Paperback - 262 pages - released in April 2018. 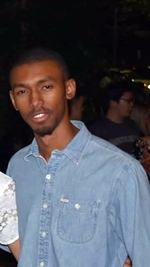 It has been five years since Osmond Diaz’s return to Chun from his seemingly endless journey abroad. Now, Andres (his unique research assistant) and Osmond must find a new purpose as their extensive project has finally come to an end. While refamiliarizing with the vibrant Chun region, trouble ensues from an eerie tech-infused cult, the Mounean Order, as they begin to trail every step Osmond and Andres take. J. Tyler Copeland is an emerging American author from the Charlotte metropolitan area. He was born in Bethesda, Maryland, though he spent most of his time in North Carolina, where he studied for an undergrad philosophy and political science degree. Throughout his time at UNC-Charlotte, Tyler always managed to discuss life’s unanswered questions and values, thus he spent frequent time with the university philosophy club. His science-fiction (SF) writing was heavily influenced by the late SF authority, Isaac Asimov, as well as the legendary SF tale by Mary Shelley, Frankenstein. With Flawed Machines, he hopes to reach an understanding of purpose that has often gone overlooked.